Towards the end of my week together staying with Liz and Satoshi in Oyama, I wanted to take time to see the famous Nikko, before I departed for Tokyo a few days later. So, Liz drove her friend Marcia and I up to Nikko for the day. They were only making a day-trip, but I planned to stay for a day or two. 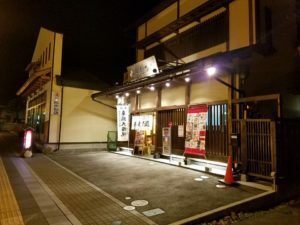 Before I left, I found a hotel for the first night, but I could not find one for a second night, but I decided to risk it and go anyways, and find something after I got there. I packed as lightly as I could, but I still had all my art gear to carry. It took a few hours by car, but we all enjoyed the verdant landscape of Japan’s rice fields and distant mountains along the way. When we arrived, we did not go to the hotel, because it was too early to check in, so I carried everything with me. Together we saw a few of the sights near the entrance to the Toshogu 東照宮 shrine, including the first Kendo 剣道 school in Japan, which is still in operation. After having lunch together and escaping the heat of the day for some ice cream together, my friends departed midday to leave me to the rest of my trip. 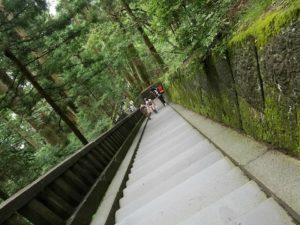 The first thing I wanted to do was go to the highest area available. This would allow me to find a good area to paint, and, since I was carrying a lot of bags, I wanted to get it out of the way first. Little did I know how many steps it would be. It took over a half hour to drag my heavy backpacks up the many stories of stairs to the top. And when I arrived, I found an interesting sight. A mountain. Of trash. Japan does not have very many trashcans in public areas, they usually have signs that say take-home-garbage ゴミ持ち帰り instead. 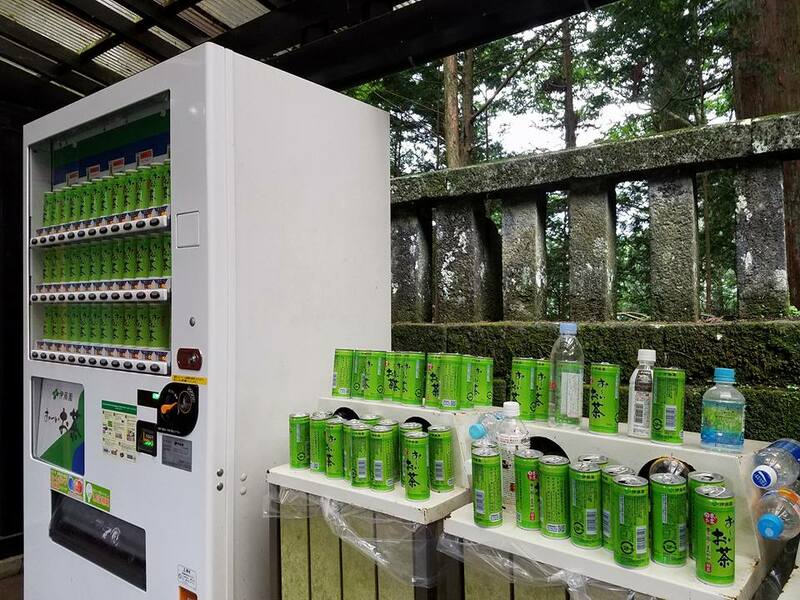 However, at the top of this temple area, there was a long line of cold green tea machines and a single trashcan that could barely be seen beneath a heaping mountain of cans. I sat down exhausted and soaked with sweat from the heat and humidity, then I bought a can, drained it, and added it to the tumbling pile. While it was quite the adventure, alas, there was not much view from the top, so this was not a good place to draw. I resumed my tour by taking the long staircase down, surrounded by children with infinite energy running around me in circles as I walked. After touring most of the rest of the grounds, I found a side alley that was picturesque and not very crowded. However, it was also starting to get dark and looked like it might rain. But I took a chance and set up my easel and started drawing. I finished more than half of the drawing before it started to get dark, but I eventually had to stop for the day and find my hotel. As it so happens, the hotel was a couple kilometers away, and the buses had stopped running. Apparently, Japanese tourists turn into pumpkins like Cinderella’s carriage at exactly sundown and no longer require transportation. So, exhausted and sweating, I walked in the dark for an hour to my hotel. Luckily, there were still staff there to check me into my room. However, the meals offered by the hotel were at specific hours, and I had missed dinner. So I had to wander through a pitch black town, hopping from patch of streetlight to patch of streetlight along the road, until I found an udon shop that was still open at 9pm. This New Yorker is spoiled, being able to get food, including Japanese food, at any time of night. I forget that this is not the way of the rest of the world. 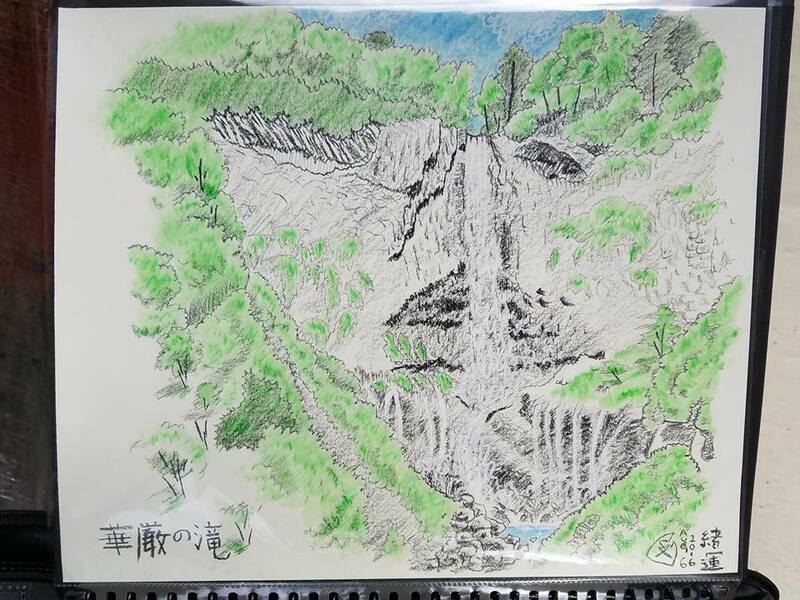 The next day, given that I didn’t think that I could go back to Toshogu to finish my drawing and also see Kegon Falls within the same day, so I decided to leave the drawing until my second morning. However, I had another problem: the hotel did not have any rooms for a second night. 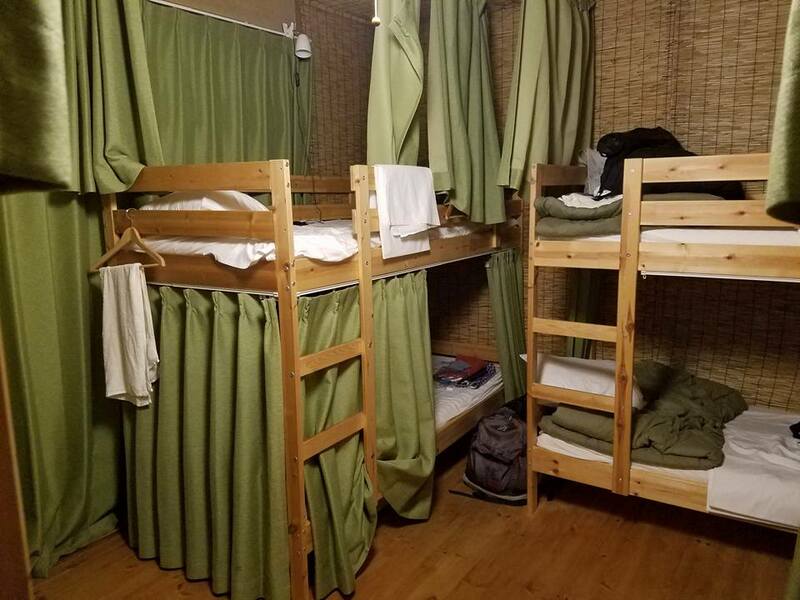 After searching, I found a hostel another couple kilometers down the road, and made a reservation. But it was in the wrong direction again, so I had to carry all my bags with me for a second day. Thus, I set off to figure out how to use the bus system, since the falls were much too far away to walk. 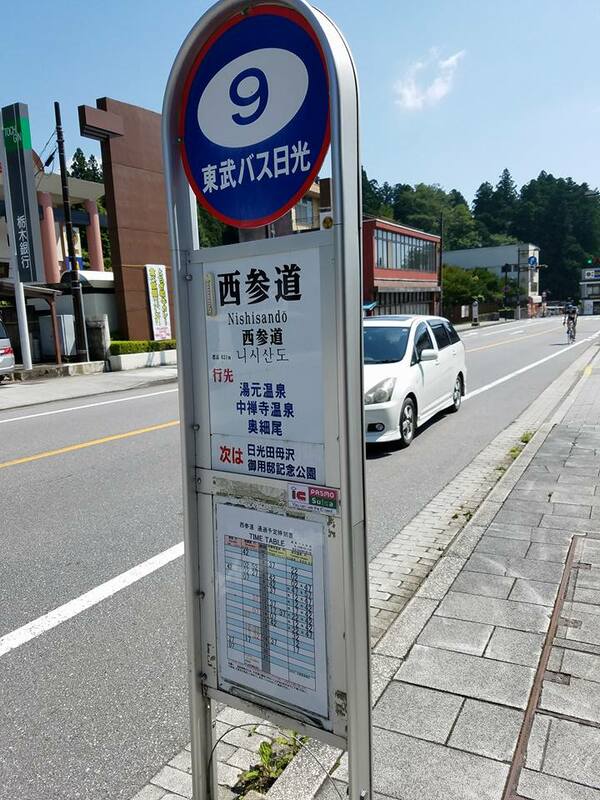 After reading a tour guide, I found that the bus worked by getting a ticket and then paying as I left the bus. This was very confusing at the time, but somehow I managed. 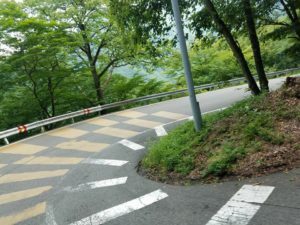 As the bus went up the twisty-turny road up a steep mountain, everyone inside made gasps as the bus tilted terribly back and forth, aiming down the sheer cliffs below. 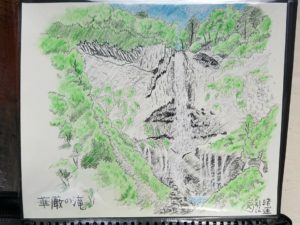 After we arrived, I walked to the Kegon Falls 華厳の滝. 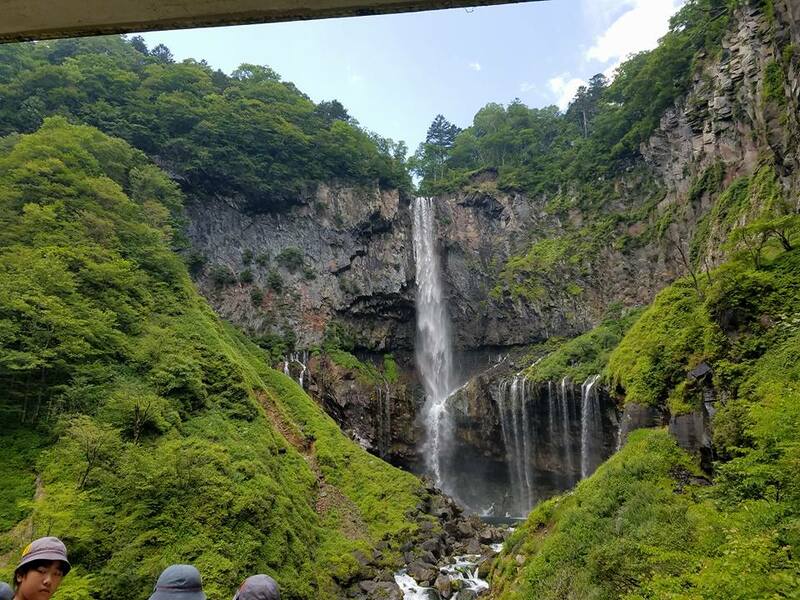 Interestingly, the waterfall was below street-level, so I had to go into a building and take an escalator and elevator down to the bottom of the falls, in order to view it. Once there, I found an area in the corner, out of the way of people trying to walk by, and set up my easel. I was a little worried about the paper, as the air was filled with mist from the waterfall, but it turned out ok. 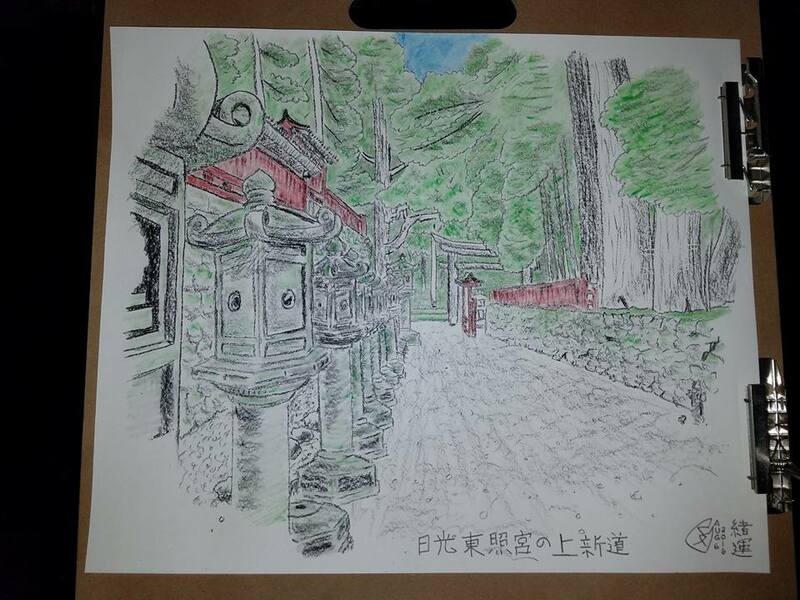 I was also worried how the picture would turn out, because it was the first time I used white pastels on top of charcoal. But the drawing also came out beautifully. When I finished, I took the bus back to town, I had to decide whether to finish my other drawing then or wait until the next morning. 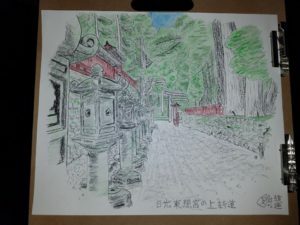 Because the hostel was so far away, and I was close to Toshogu again, I decided to finish the drawing that afternoon (after all). 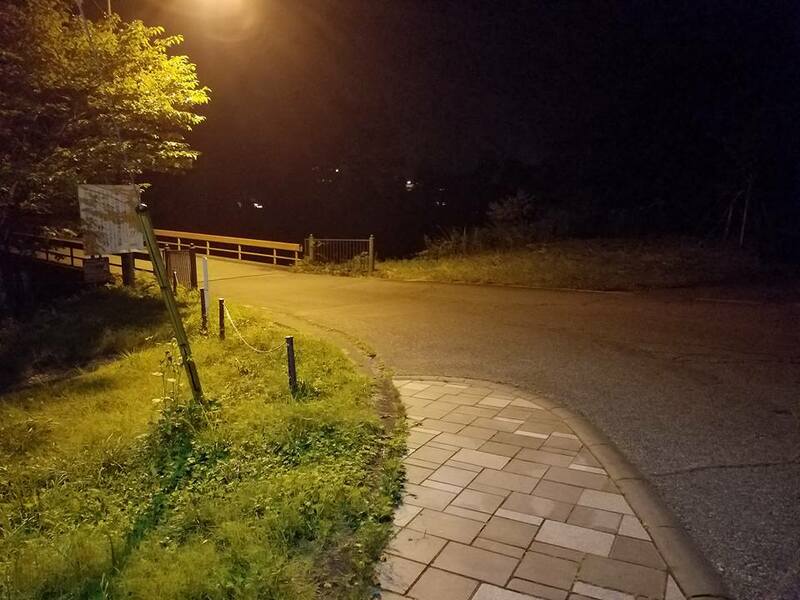 However, when I finished, it was dark and I had once again missed the last bus going down the main road. So I walked over 5km down the road with all my art gear and baggage, to the hostel. For two straight days in a row, a kitchen had closed for the evening before I could eat. 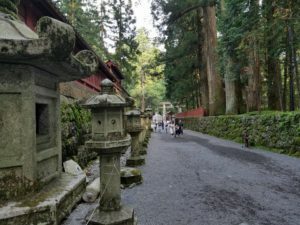 Nikko had still not magically transformed into New York, so I had to trek back another couple km back into town for food. The only thing open was a bar, so I sat down, ordered a beer and several appetisers, and then back to the hostel. 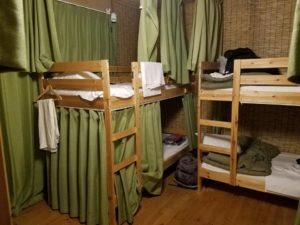 While I’m glad that the hostel was available, I wasn’t glad that all of my roommates snored like chainsaws, and that the air conditioning had broken completely. I barely slept at all, even though I was exhausted. When I finally returned to Oyama, I slept for almost the entire next day before making note of my fitbit and how much I had walked in Nikko. I had walked around 30km in 3 days, all with about 80kg of backpacks. Astonishingly, when I finished my entire Japan trip, I had walked over 200km.